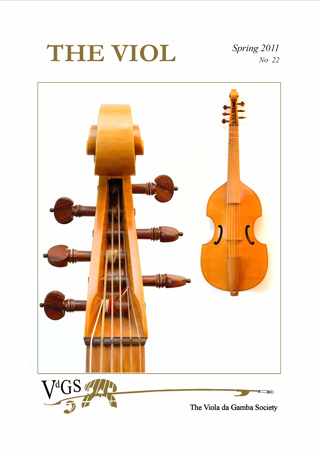 'The Viol' contains general information, ad hoc articles on viol-related topics (including reviews of meetings), information about Society personnel, membership changes, Society publications, meetings, courses, viol news, instruments for hire and sale, new music publications, music & CD reviews, young players pages and correspondence. We have a fair number of back copies available. Members can buy these for £1.50/copy + postage, non-members for £2.50/copy + postage. Please get in touch with the administrator. 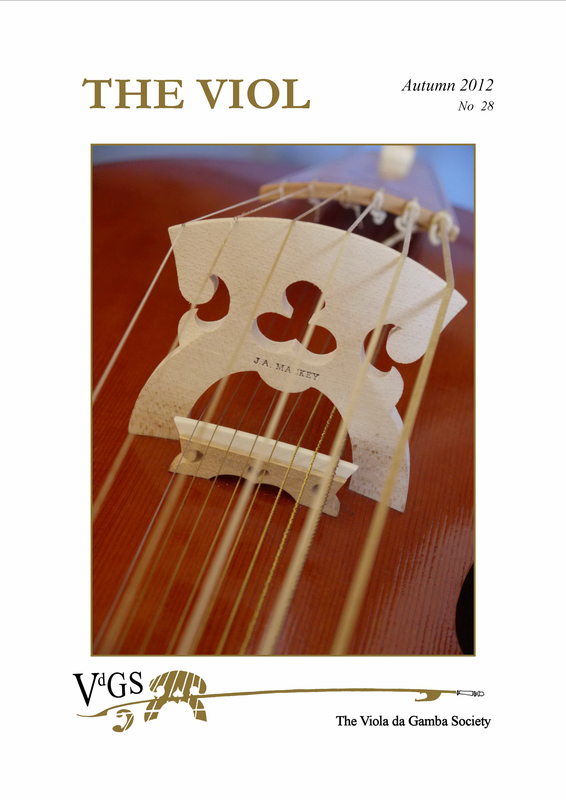 VdGS Music Editions - print your own! 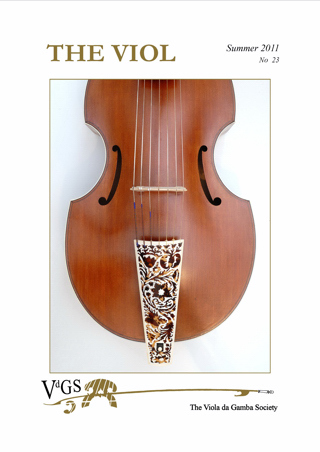 The Future of VdGS Editions | your comments please! Young Players' Pages | Gutted! 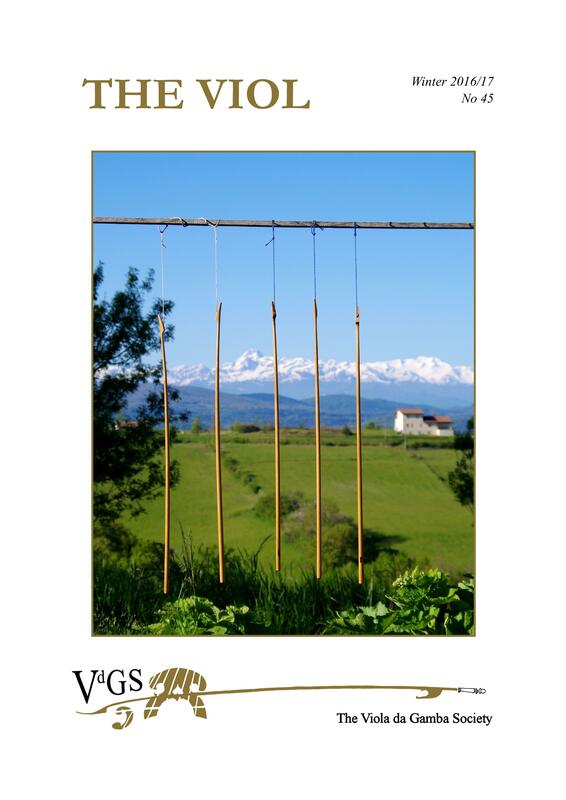 The Viol and VdGS Finances | Food for Thought? 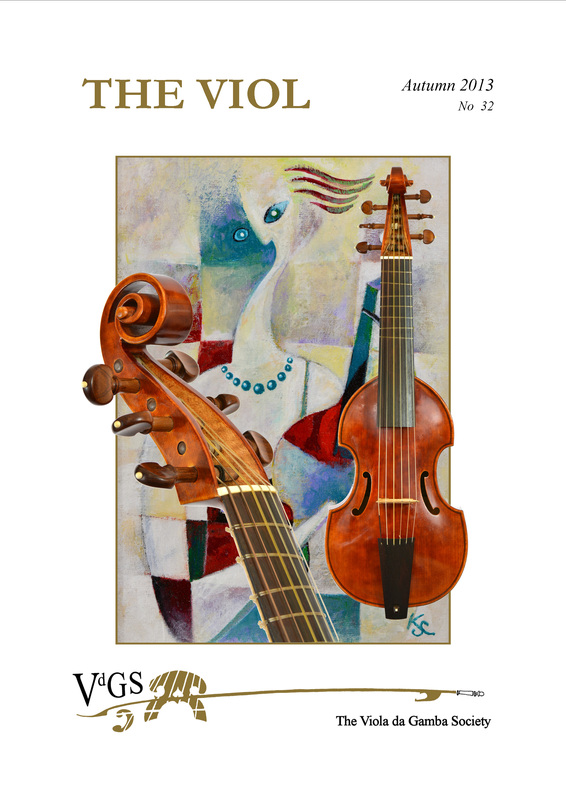 VdGS Music Editions | would you like to help? VdGS Meeting October 2009, London: Have You Heard the One By..? A Message from from Your Administrator: Susanne Heinrich. Report of VdGS Meeting at University of Huddersfield June 2009: Andrew Fowler. Postcode Distribution of VdGS Members as at June 2009: Stephen Pegler. 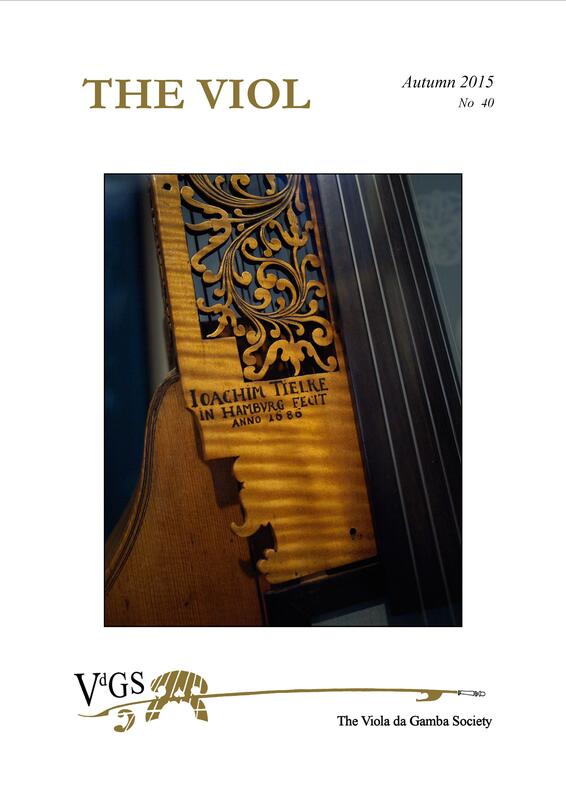 A 'Soundposted' Renaissance Viol: Ander Arroitajauregi Aranburu . 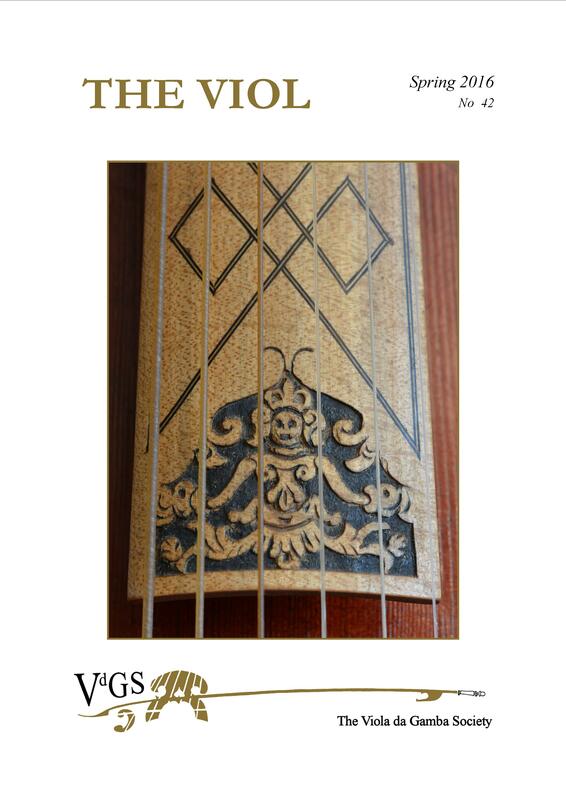 Narcissus Marsh's Viol Manuscripts and Musical Investigations: Andrew Robinson. 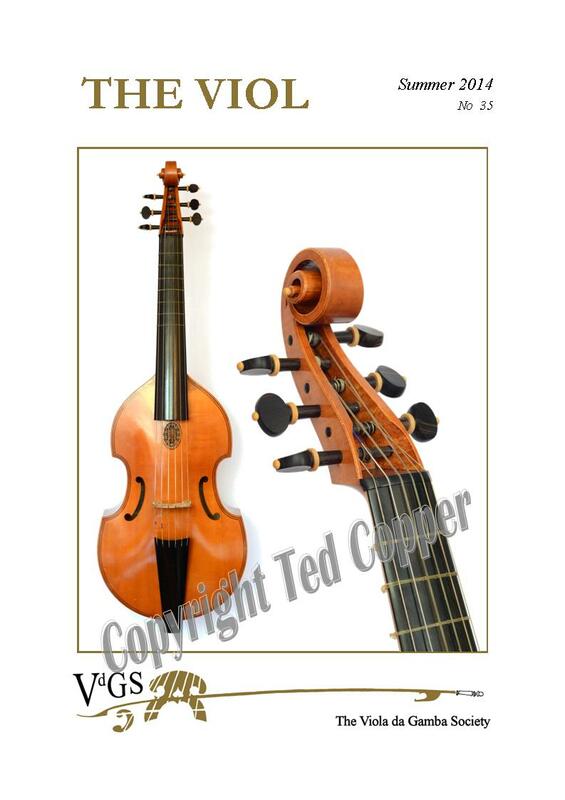 Michael Plant, Viol Maker: Shirley Plant. From the Archives | 6th Exhibition of Early Musical Instruments London November 1983 An Exhibitor's View: Michael Plant . 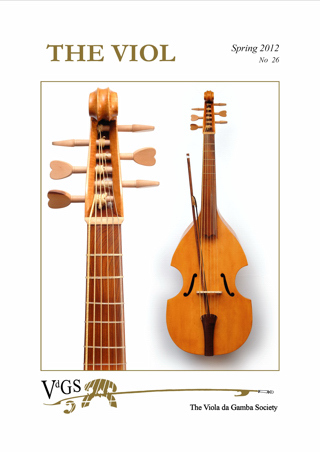 The Viola da Gamba in Argentina: Horacio Bollini. 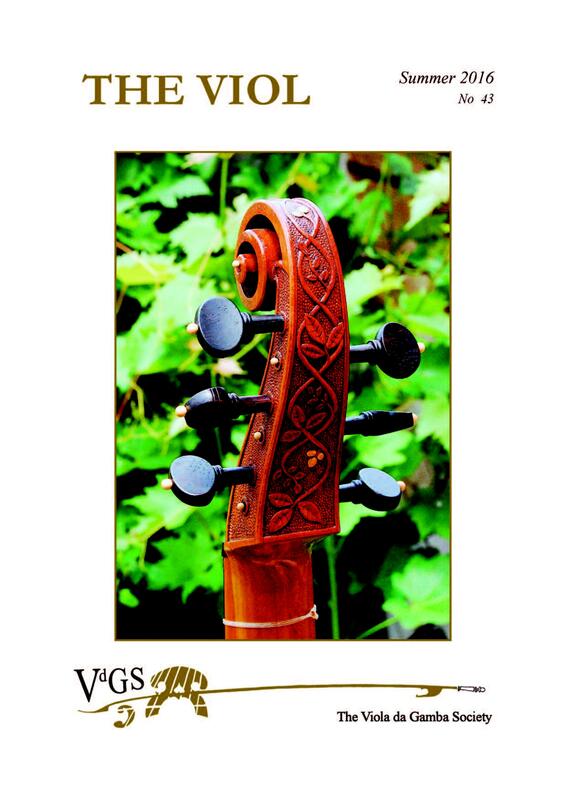 A Message from the Winner of the Kessler Viol Raffle: Esha Neogy. 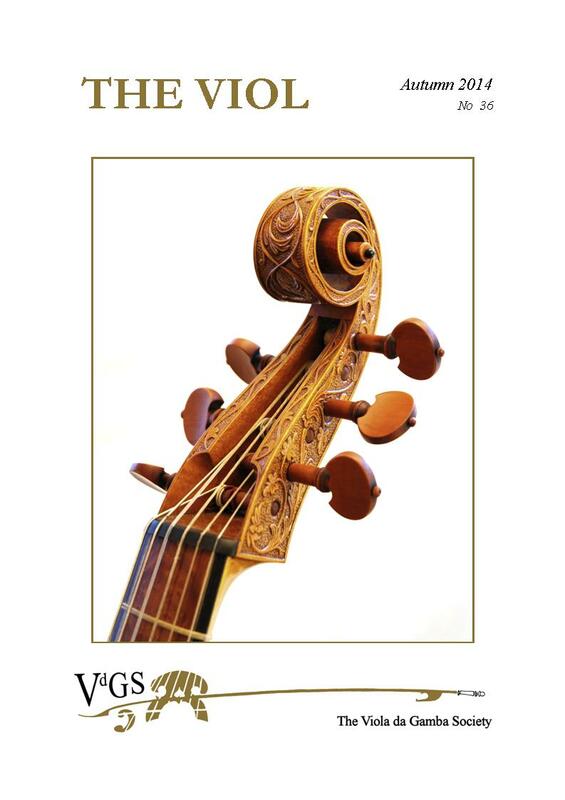 The Violone and Violone Grosso of Bach's Brandenburg Concertos: Peter McCarthy. 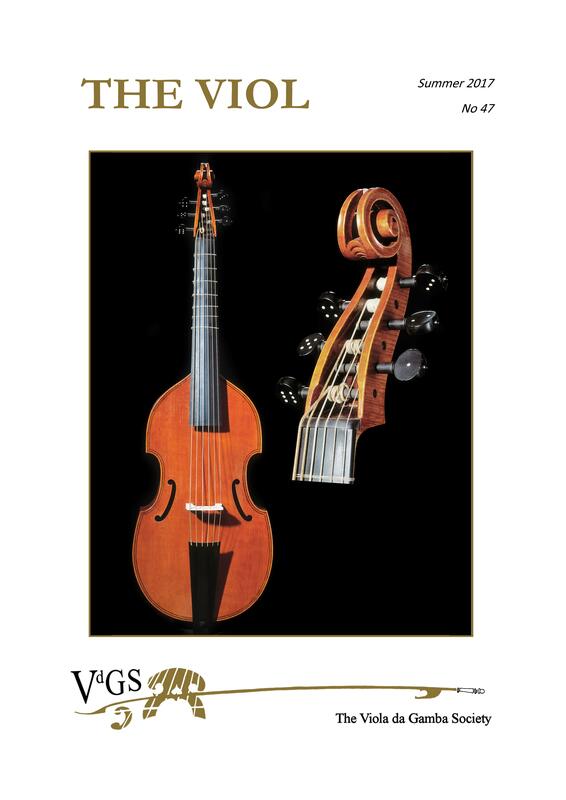 The Pardessus de Viole and Quinton | A History: Dr Michael Mullen. 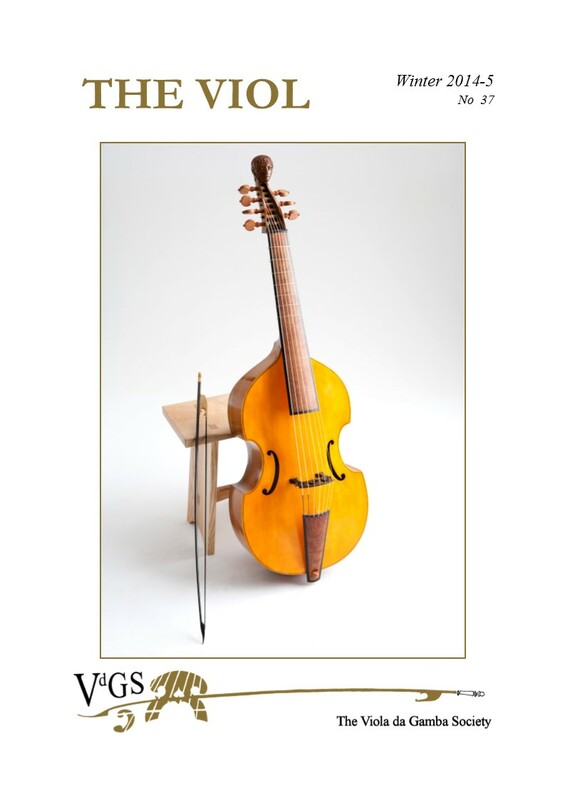 The Royal College of Music Festival of Viols | A Report: Nick Pollock. A Note on Dating Two Anthems by Byrd: Richard Turbet. Trio Sonata Playing Day at Benslow | A Report: Sarah Turnock. 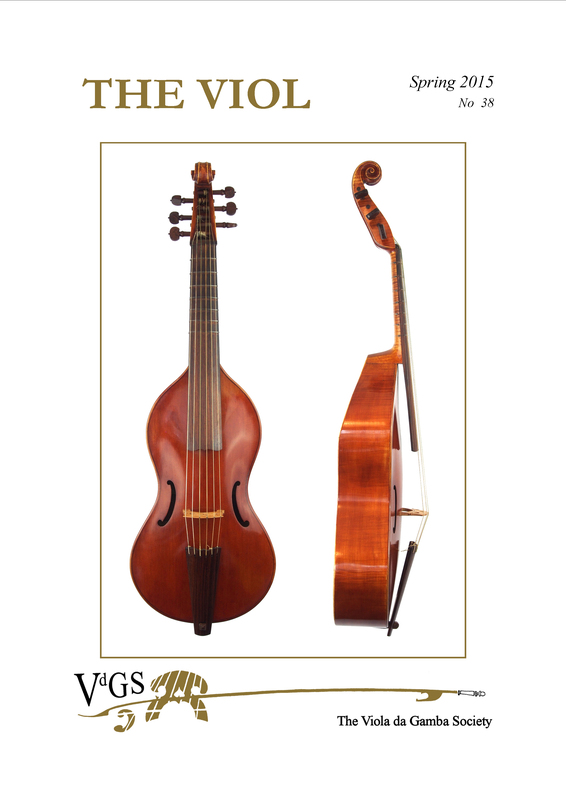 Some Viol-Related Manuscripts and Printed Music in the RCM Collection: Dr Michael Mullen. Paddy Turner 1931-2008: An Obituary: Jenny Tribe. 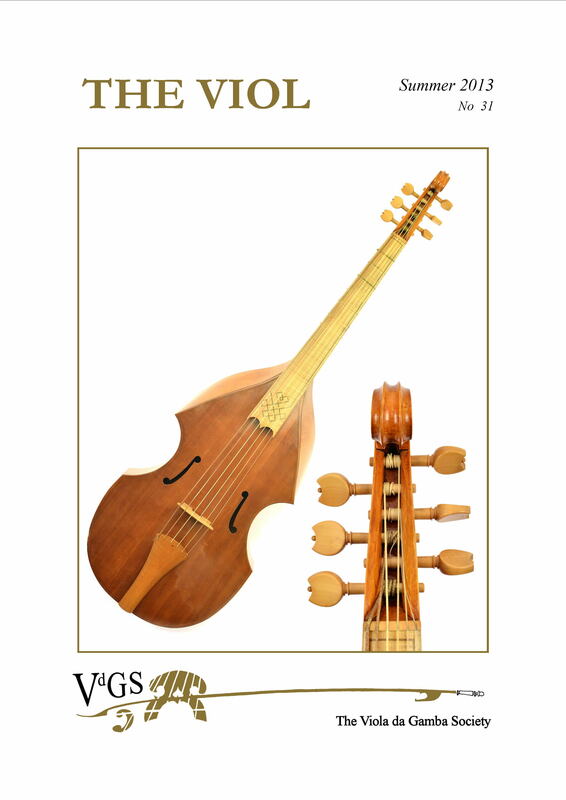 The Solo Bass Viol Suite in France 1650-1700: Charles Medlam. 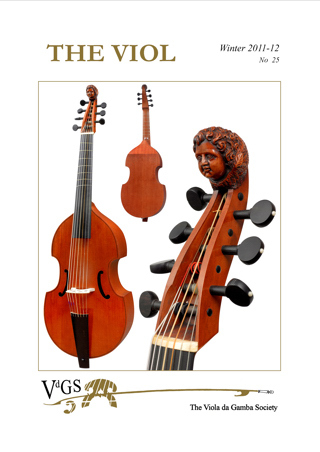 Viols in China - A Pioneering Visit? Alison Crum. Julian Boby - An Obituary: Mary Iden. 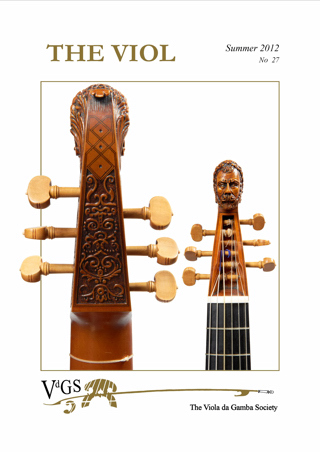 The Restoration of a Swedish Viol: John Topham. 'After West Dean' Diary: Toby Rzepka. Course Report | The 12th Annual Laboratorio di Musica Antica: Enrico Silvestri. Copyright and Copying: Sally Morris. Two Items of Interest: Andrew Ashbee. 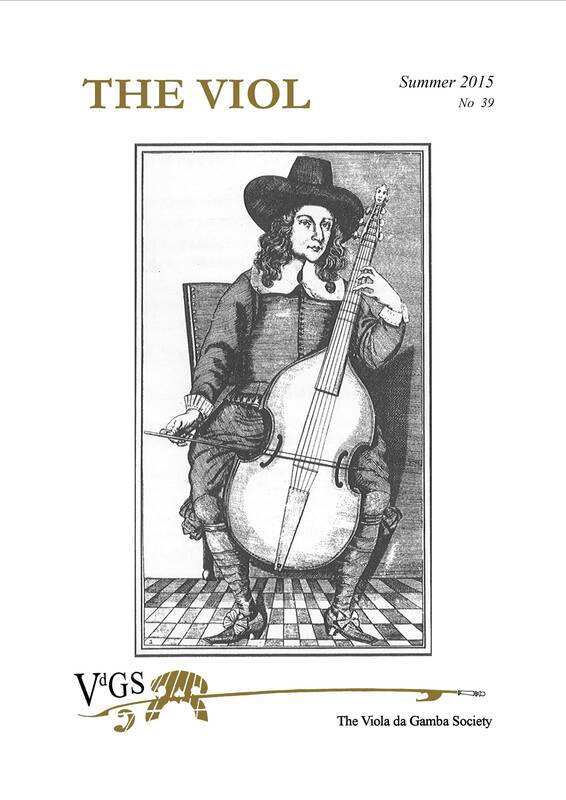 Body Percussion | How it Can Help Your Viol Playing: Michael Bruessing. 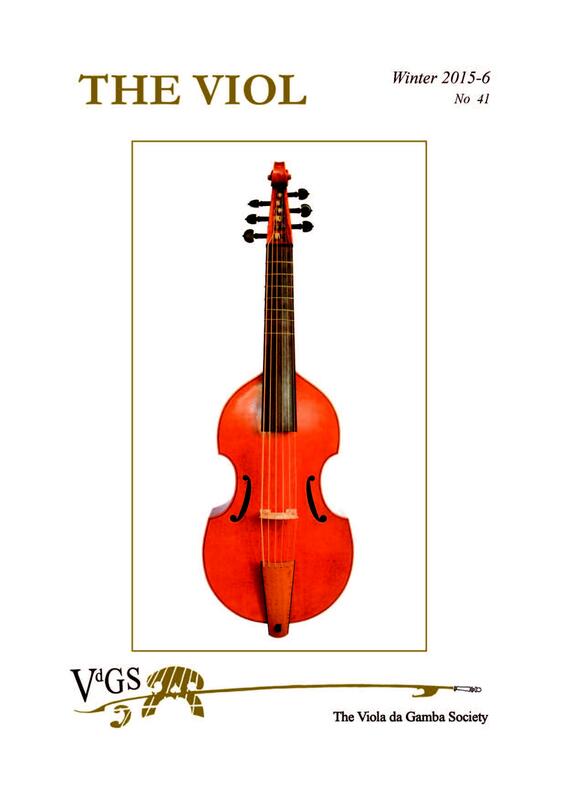 The English Pavan and Galliard for Viols and the Art of Keyboard Intabulation: David J Smith. Sarah Paget | January 28th 1940 to September 18th 2008: Julie Stobbs. 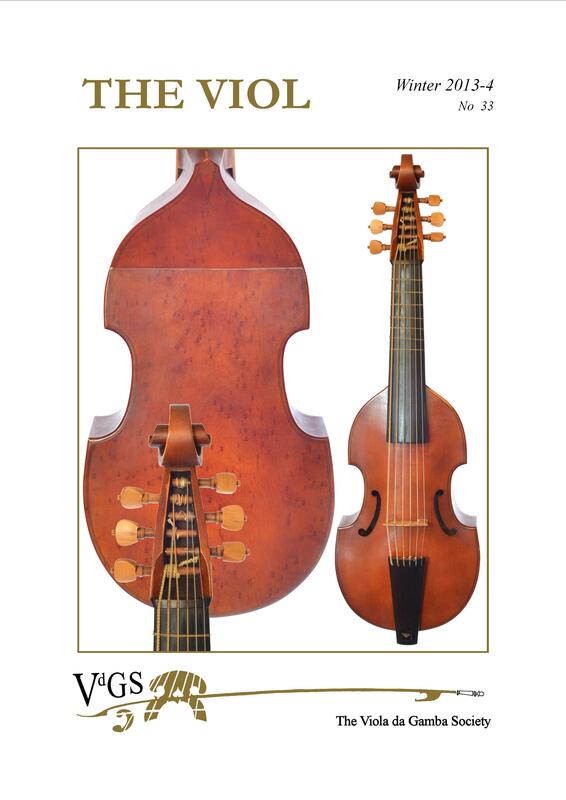 Understanding Your Viol and Its Care: Julian Boby. 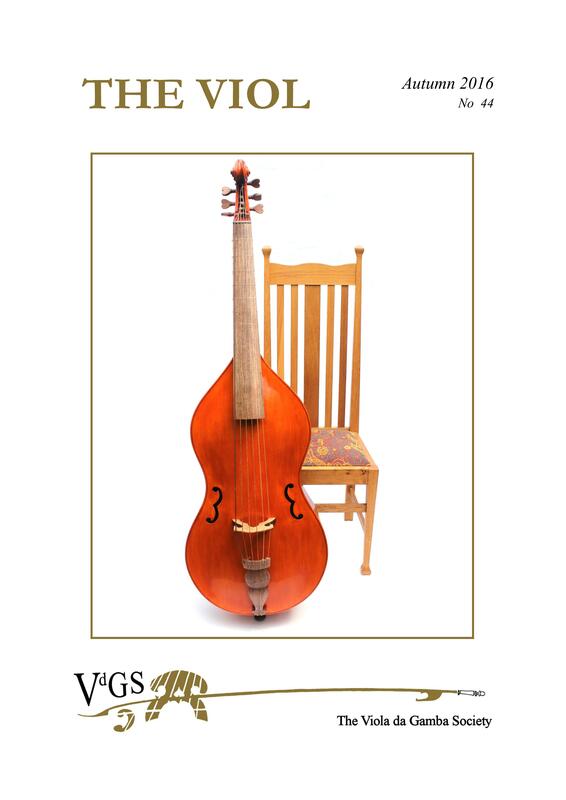 Voices and Viols In Performance: Clare Griffel. A Talk Given at the March 2008 VdGS meeting in Oxford. Oyez! Fresh Thoughts About the "Cries of London" Repertory: John Milsom. Brief Summary of a Talk Given at the March 2008 VdGS meeting in Oxford. 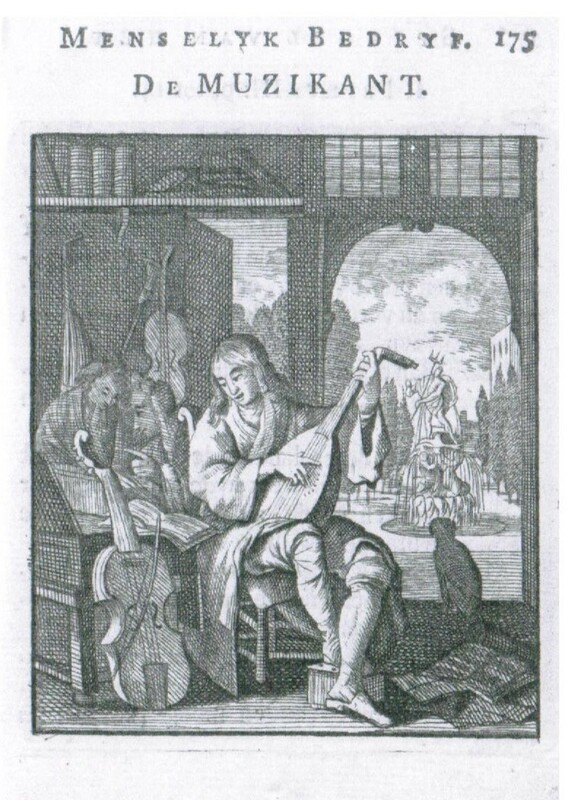 Style & Spirit | The Importance of Gestures & Ornaments in the Music of Marin Marais: Tal Arbel. A Talk Given at the June 2008 VdGS meeting in Warwick. Lady Godiva | Only a Fiver? 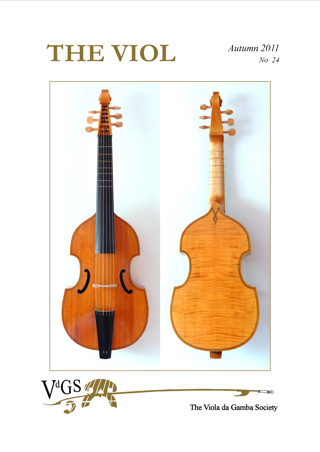 Report on the 5 Day Viol-Making Challenge: Jane Julier. 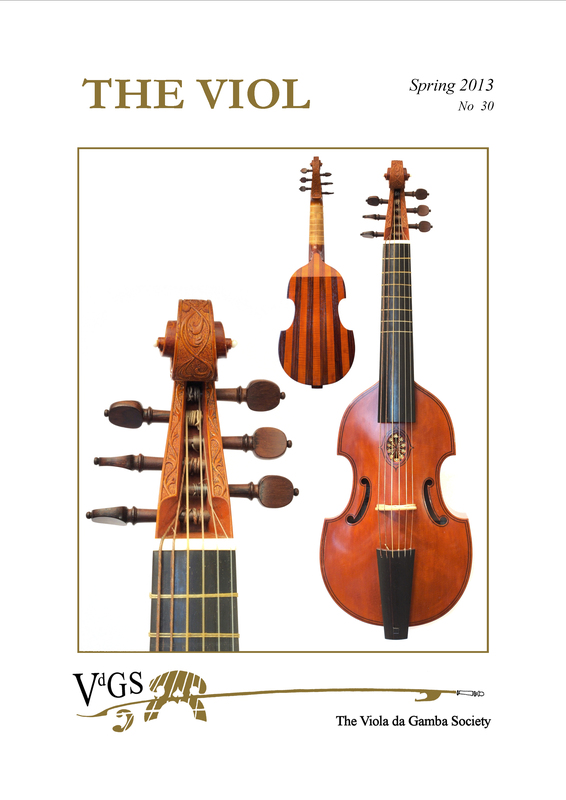 Your Chance to Win the 5-Day Viol for the Price of a Raffle Ticket! 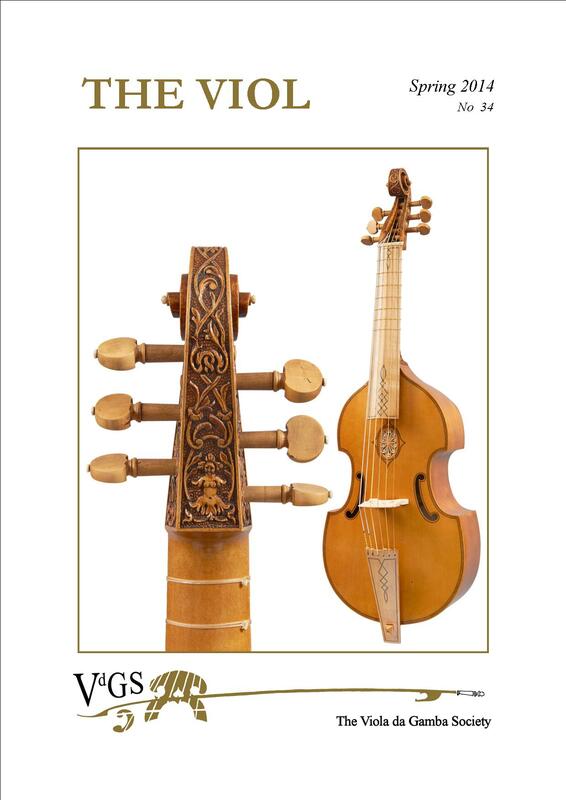 The Ueno Gakuen Collection of Early Instruments, Tokyo: Stephen Pegler. 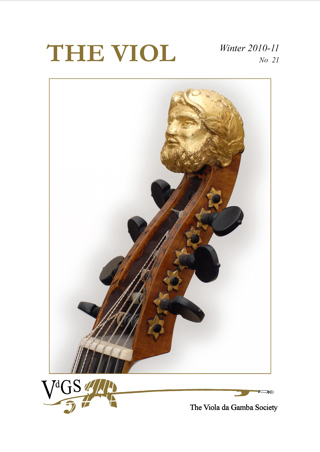 Viols and Voices in Venice with Philip Thorby | February 2008: Ken Thomson. 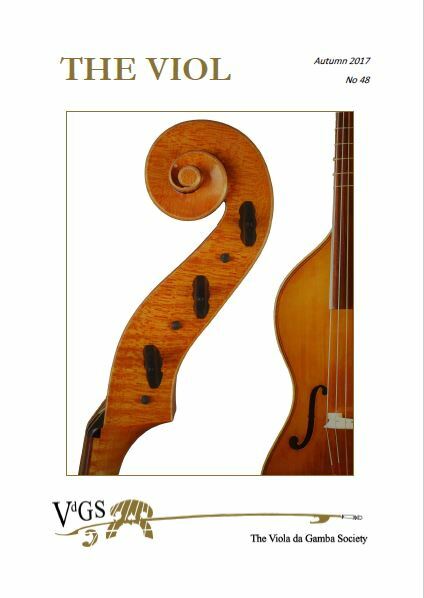 VdGS Baryton Playing Day | London April 2008: Michael Mullen. 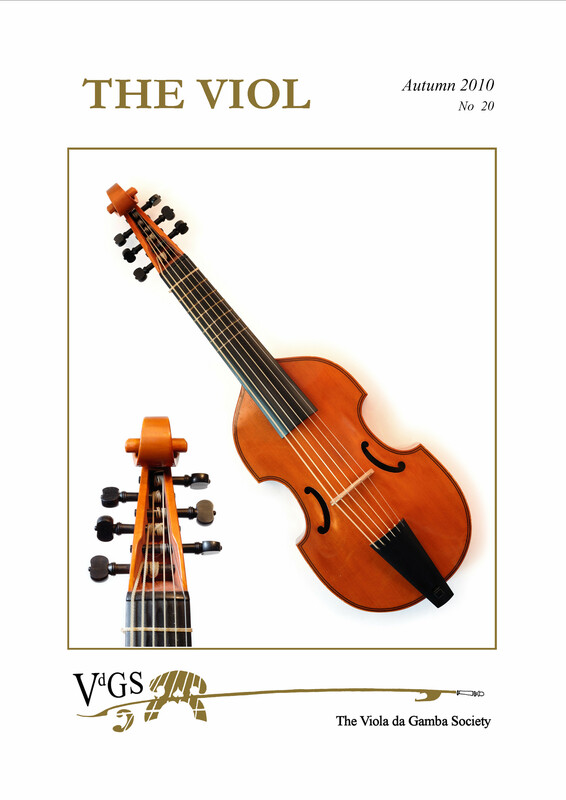 The Aquila Strings Workshop: Mary Iden. 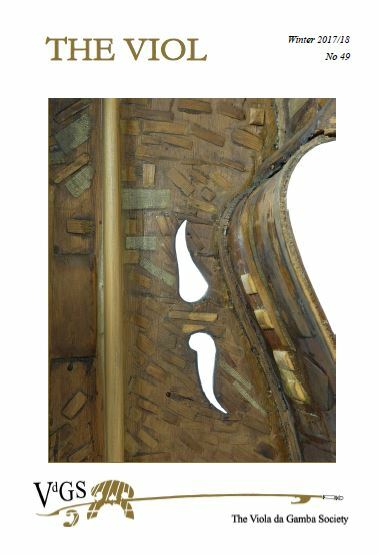 Makers in the Making | West Dean Diary: Toby Rzepka. 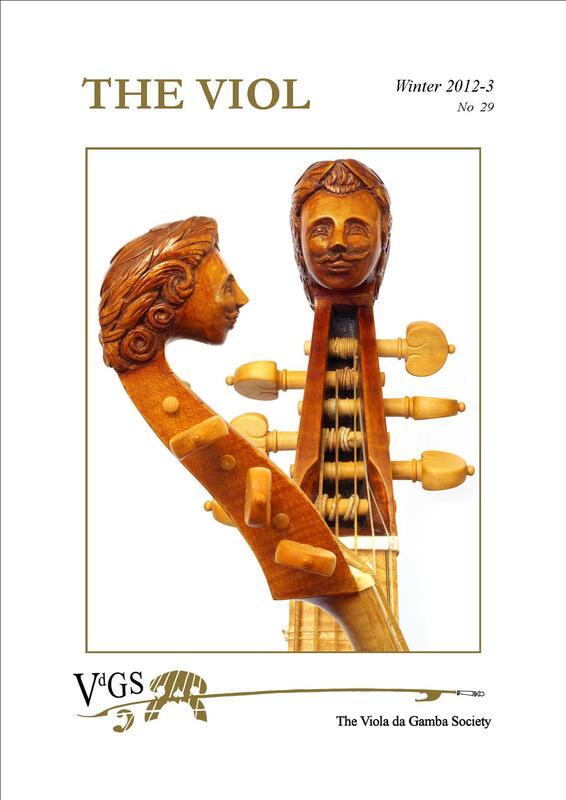 From the Archives: Viol Consorts at the Haslemere FestivalFirst printed in The Bulletin of the VdGS November 1953.